"Havana" conquered the world in 2018. 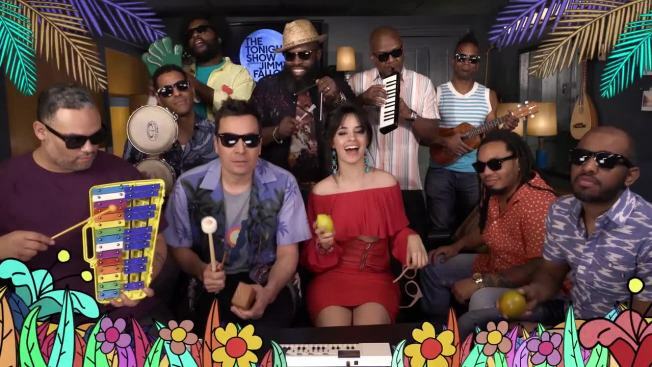 A global music industry group says Camila Cabello's song, featuring guest vocals from rapper Young Thug, is the year's best-selling digital single. The International Federation of the Phonographic Industry says the Cuban-American musician's song has been streamed 2.6 billion times around the world — the equivalent of 19 million copies sold. IFPI chief executive Frances Moore said Wednesday that "'Havana' truly was the stand-out hit of the year. Momentum behind the track continued to build and build at an extraordinary rate as it consistently topped charts and leading playlists." "God's Plan" by Drake and "Shape of You" by Ed Sheeran were runners-up. The organization announced last week that Canadian rapper Drake was the world's best-selling recording artist in 2018.